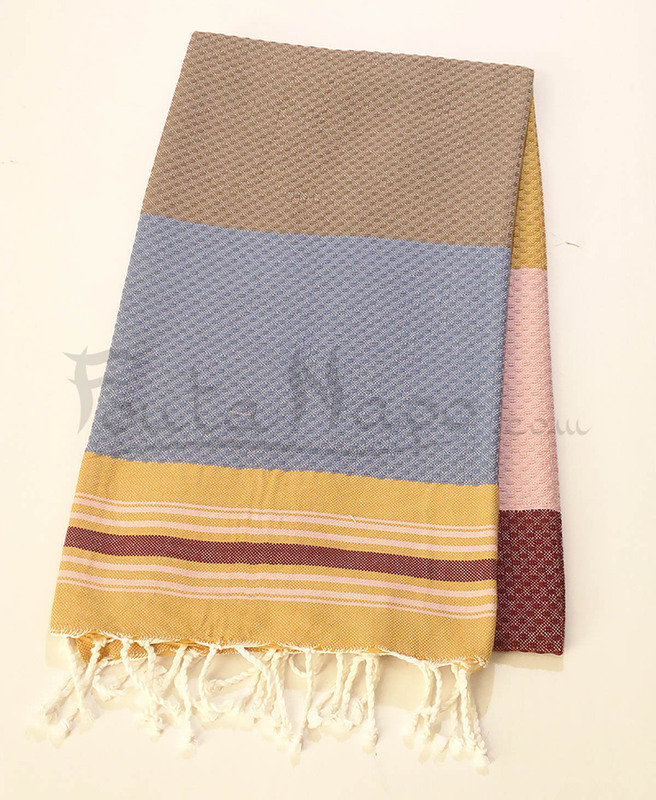 The fouta towel Honeycomb 5 Colors Taupe & Red is very wonderful fouta. 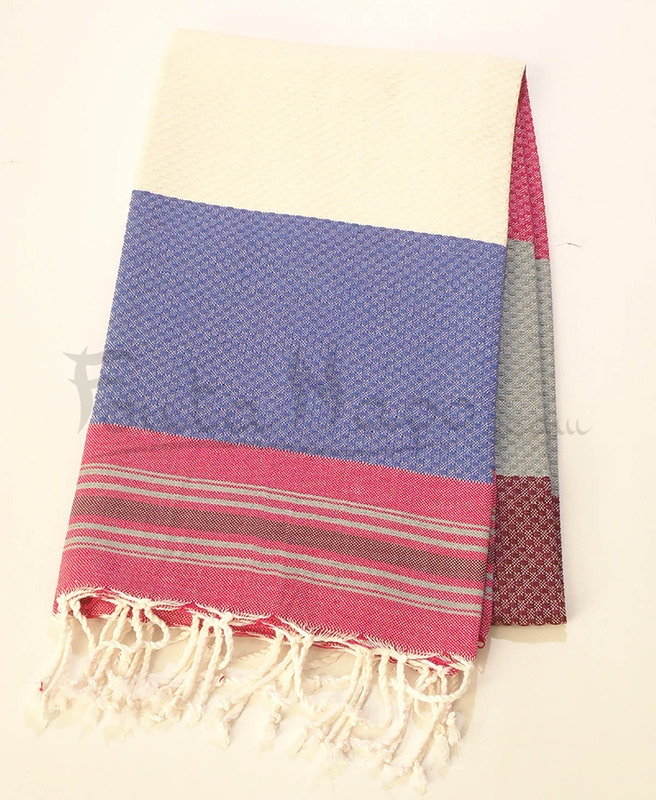 Nowadays, the Fouta has become an indispensable accessory, used on the beach, on the pool or at home as tablecloth. It’s very absorbent ,modern and chic.